Chicago, IL (March 29, 2018) – Today marks the start of the 60th shipping season on the St. Lawrence Seaway as the locks on the Welland Canal and in Massena, NY open for business. Ocean-going vessels will begin transiting the Great Lakes for the next eleven months, carrying cargo and potentially something more sinister – aquatic invasive species. Ocean-going cargo vessels have introduced a number of destructive aquatic invasive species, such as zebra mussels and round gobies, that have cost the Great Lakes region billions of dollars since the late 1980s. The shipping industry continues to pose a threat of introducing new aquatic invasive species into the Great Lakes and spreading them to other parts of the lakes. In recent years, two non-native zooplankton, Thermocyclops crassus and Brachionus leydigii, were found in Lake Erie. And, in February, researchers announced the discovery of bloody red shrimp in the Duluth-Superior harbor on Lake Superior. Bloody red shrimp were brought into the Great Lakes via the ballast tanks of ocean-going vessels and first discovered in 2006 in Lakes Michigan and Ontario but had not yet been detected in Lake Superior. To improve balance and stability, ships take in or discharge water in their ballast tanks when cargo is loaded or unloaded. In doing so, they also take in all kinds of live critters that, when discharged somewhere else, can pose a serious threat to native species and ecosystems. Court ordered regulations are in place to require ocean-going ships to treat their ballast water before discharging it. Yet the shipping industry continues to fight these regulations, pushing for the Vessel Incidental Discharge Act year after year in Congress. 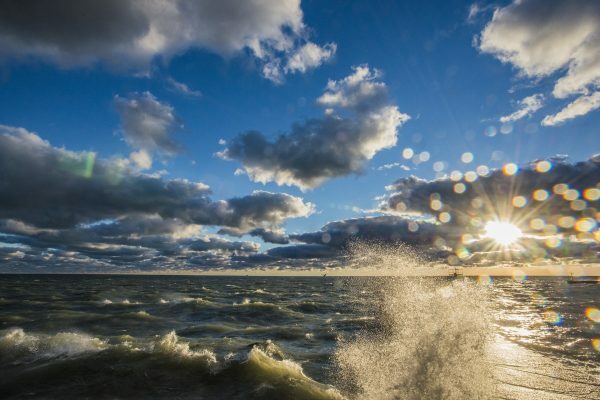 This bill would eliminate Clean Water Act authority over ship discharges including ballast water and remove the U.S. EPA from its scientific role in deciding what standards are needed to protect waterways across the country, including the Great Lakes. It would exempt ships that operate solely on the lakes. And it would preempt states’ rights to protect their waters. Members of the Great Lakes Congressional delegation prevented inclusion of the Vessel Incidental Discharge Act in the federal omnibus spending bill passed on March 23. However, industry lobbyists continue to seek opportunities to pass this bad legislation.